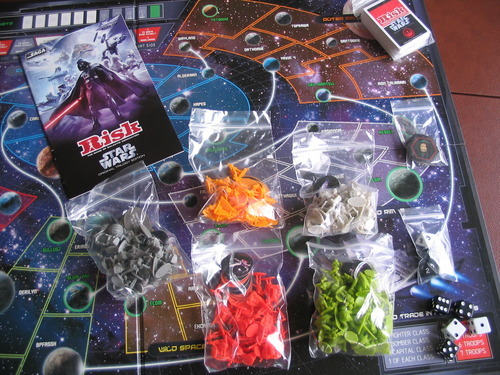 Risk Star Wars Edition is a board game that gives to players an option to reproduce and play the final moments of Star Wars: Return of the Jedi. With the release of the new Star Wars movie, The Force Awakens, we look back on the past installments of Star Wars, but through a different lens. One of the RISK adaptations of Star Wars involves the beloved Original Trilogy, as opposed to the much maligned Prequel Trilogy (which is rather unfortunate). 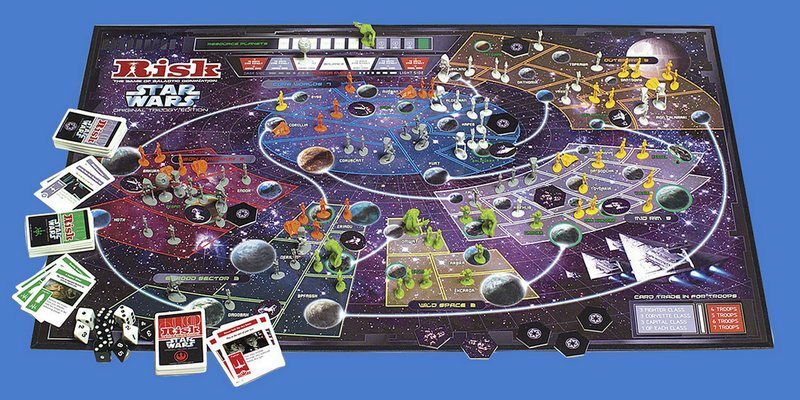 It seemed like the perfect combination—a great strategy board game based on the world of the greatest science fiction movie franchise of all time. How hard could it be to make a good Risk Star Wars game? The answer to that question came with RISK: Star Wars Original Trilogy. See other Risk variants board game. RISK and Star Wars are more or less 20 years apart, but they’re both from that time in the 20th century when the origins of modern geek culture started to be formed. Perhaps it’s apt that someone finally put them together in one package. This game was released in November 2006, almost two years after the release of Risk Star Wars: The Clone Wars Edition. This game was designed by Rob Daviau and Dan Sanfilippo. As with most other RISK games, this can be played by 2-5 people, although it’s best to have at least 3 players, and each game can last for 2 hours on average. It must be noted that the game is set in both the Star Wars saga and the extended universe, the latter of which has been rendered not canon by The Force Awakens (it’s now called Star Wars Legends). 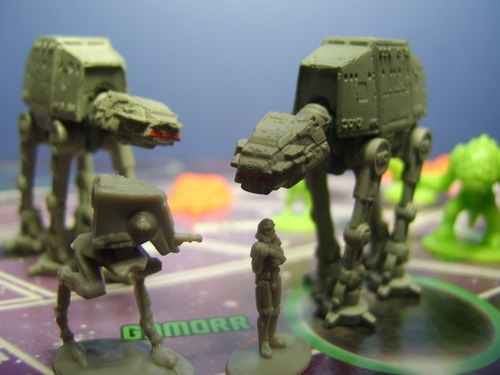 Instead of just colors, this RISK game features three distinct factions—the Empire, the Rebel Alliance, and the Hutts. When there are only two players, the Hutts serve as a neutral force; otherwise, they’re player controlled as well. When a faction meets its corresponding victory condition, the game ends with that faction as the winner. Each faction has two types of figurines, one representing a single unit and another representing three. The figurines are specific to each faction, differentiating it from the most generic ones in classic RISK. 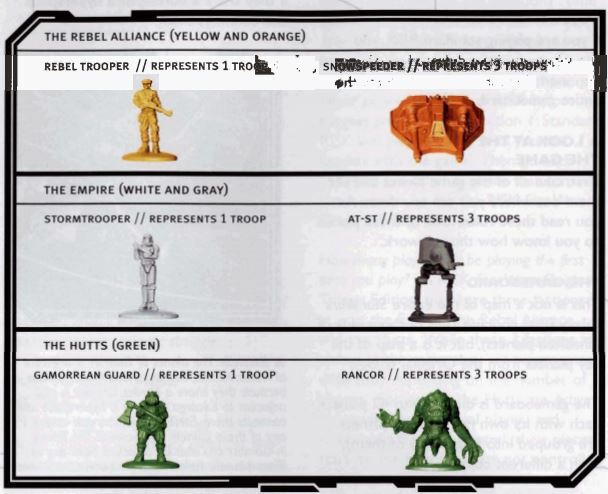 Rebel pieces are red and yellow, Imperial pieces are in two different shades of gray, and Hutt pieces are all green. The Imperial armies include two Death Stars—special units that can protect Imperial-controlled planets from attack and can destroy other planets, just like in the movies. This asymmetric design may seem like the factions are not on even footing, but their differing objectives make up for it and bring a new dimension to gameplay. That’s interesting when considering this game being released two years before RISK: Black Ops edition which introduced the new objective-based ruleset to RISK. The board is quite colorful and interesting. It also has territories and continents, but set in space and are instead called planets and regions respectively, making it consistent with the Star Wars setting. Players take part in the Galactic Civil War, battling across planets like Coruscant, Tatooine, Nar Shaddaa, and so on. There are also cards here, including faction-specific cards that can be played to change things up in the game. For instance, the Empire certainly needs the “Fire the Death Star” card to pose a threat and destroy what needs to be destroyed. There are also the usual reinforcement cards that can help you out of a bind, as well as some cards that can get you spaceships (because this is Star Wars). 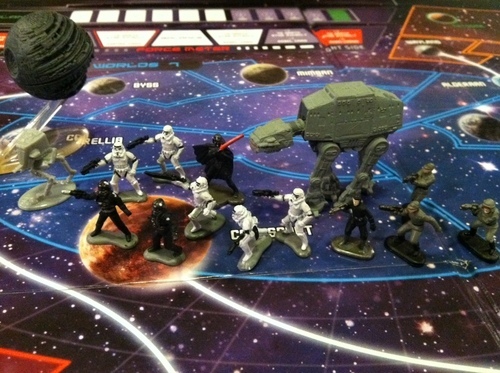 All of these different mechanics and objectives make for a thrilling game, with the Empire trying to destroy everything in its way, the Rebels looking for the Emperor while fending off Imperial forces, and the Hutts in the background trying to control resource planets that get in the way of the other two factions. 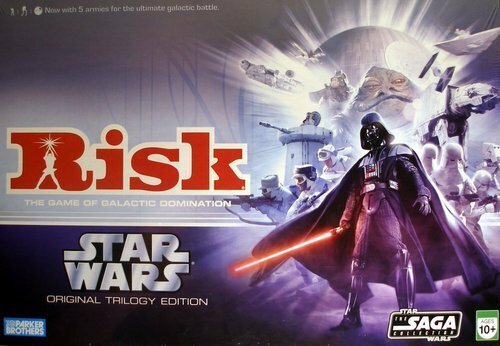 Some may think of RISK and Star Wars being a rather odd combination, but it does work quite well here. As far as being a RISK game goes, this stays fairly true to its roots while being able to add that distinct Star Wars flavor to it rather successfully. While it’s no longer entirely canon due to the extended universe being rendered non-canon, it’s still good fun for Risk players.